This is a short 3 days murchison falls safari. 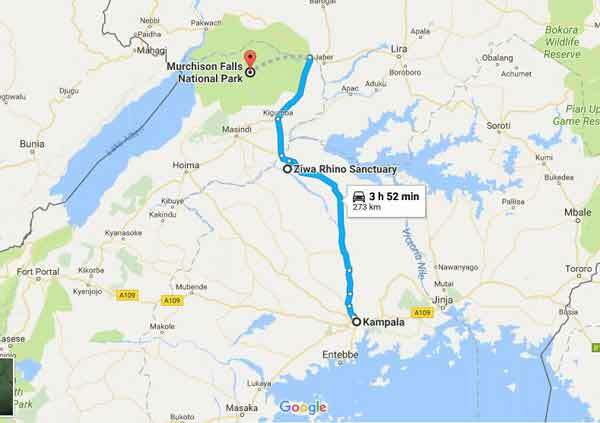 The safari takes you to Ziwa Rhino sanctuary and Murchison falls national park, the largest national park in Uganda. 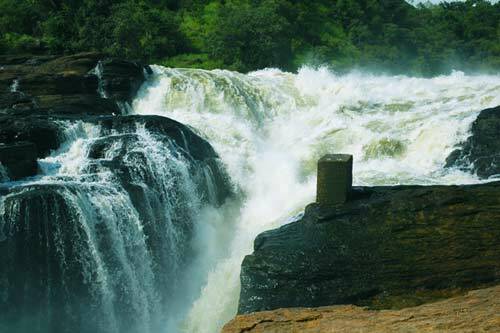 Murchison falls national park is on the table of the western arm of the Great East African Rift valley. 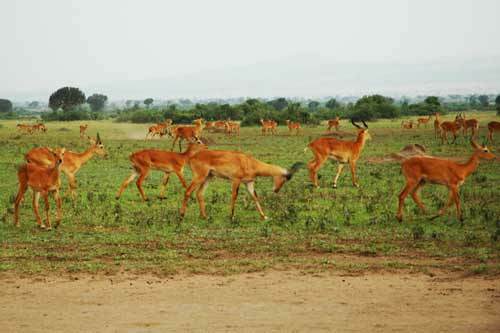 Murchison falls national park has lot to offer, A vast vegetation cover ranging from dense rain forests, woodland, grassland, bush land and open savanna. 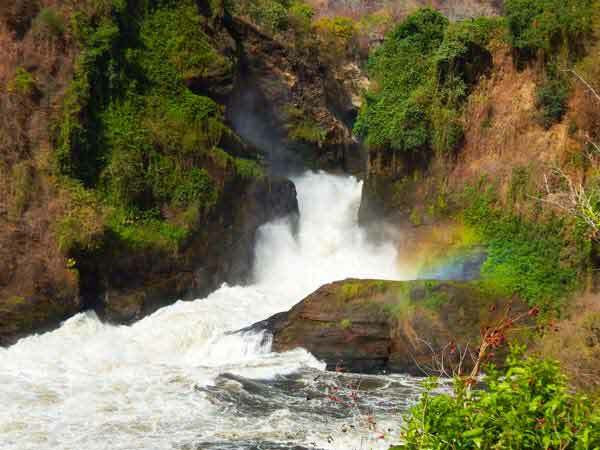 It's name comes from Murchison falls: The world’s most powerful water falls as the water of the Nile river struggles through a narrow gap of 7 metres Delta point where the Nile escapes from Lake Albert to starts its long way to the Mediterranean sea in Egypt. Murchison falls has a very large gaming potential, to mention but a few; Buffalos, Elephants, Lions, Leopards, Jackals, Jackson’s hartebeests, Oribi, Uganda kobs, Crested porcupines, Giraffes, and good birding opportunity as the park harbors over 350 bird species, "The Shoebil" inclusive. 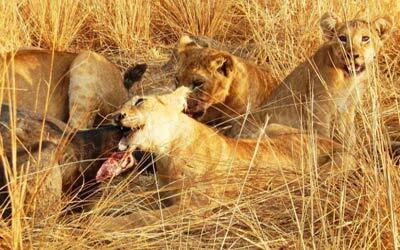 This Short 3 days murchison falls safari will give you an exclusive chance to see Africa's BIG FIVE ANIMALS (Rhinos, Elephants, Buffaloes, Leopards and Lions) in the wild. Depart from your residence early in the morning with your guide to a memorable 3 days murchison falls safari, passing through a beautiful country side of coffee plantations, pineapple, mangoes and water melon growing communities before stopping at the Ziwa Rhino Sanctuary. This is the only place in Uganda where you can trek wild Rhinos, having been killed to almost extinction by 1983. 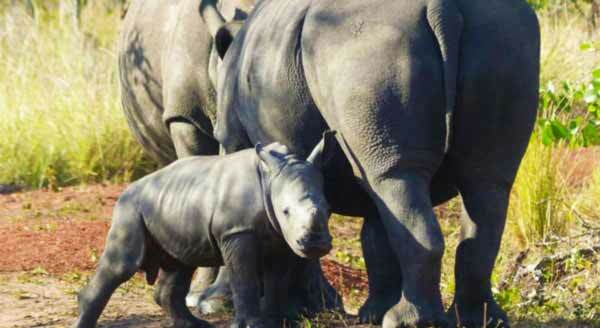 The Rhino sanctuary brought hope in the country by breeding back these once extinct giants. After the Rhino experience, we proceed for lunch and then continue to the Park and later check in to our lodge. In the evening, we go for a Game drive that will open our minds to the wild habitats. After breakfast we go for a morning Game drive. The sunrise is simply like no other, a good time of spotting cats as they search for prey and others animals which survived the night from predators. We head back to the lodge for hot lunch before the afternoon we go for a Boat cruise. The cruise presents an opportunity of close sights for the Hippos, huge Nile crocodiles and many water birds, at the bottom of the falls we board off to start our 45 minute hike to top of the falls, where you will be awaited by your guide to drive you back to the lodge. After breakfast we go out for another morning game drive in search for Elephants, Giraffes, Buffalos, and different antelopes before enrooting back to Kampala/Entebbe.